Representative Henry Waxman, elected to Congress in 1974, has announced he will not seek another term. During a congressional career that began when Gerald Ford was president, Waxman has been a leader on issues related to the environment and healthcare. He played a significant role in passing laws that cut air pollution, expanded Medicaid coverage for the poor, reduced pesticides in food, made generic drugs more widely available, advocated for AIDS patients and worked to improve regulation of nursing homes. One of his most recent victories was helping to write and push through the Affordable Care Act. Seemingly within moments of Waxman’s announcement, former city controller, Wendy Greuel, announced she would run for his seat. She was joined yesterday by Senator Ted Lieu – 28th Senate District. Self help author, Marianne Williamson, had already declared. 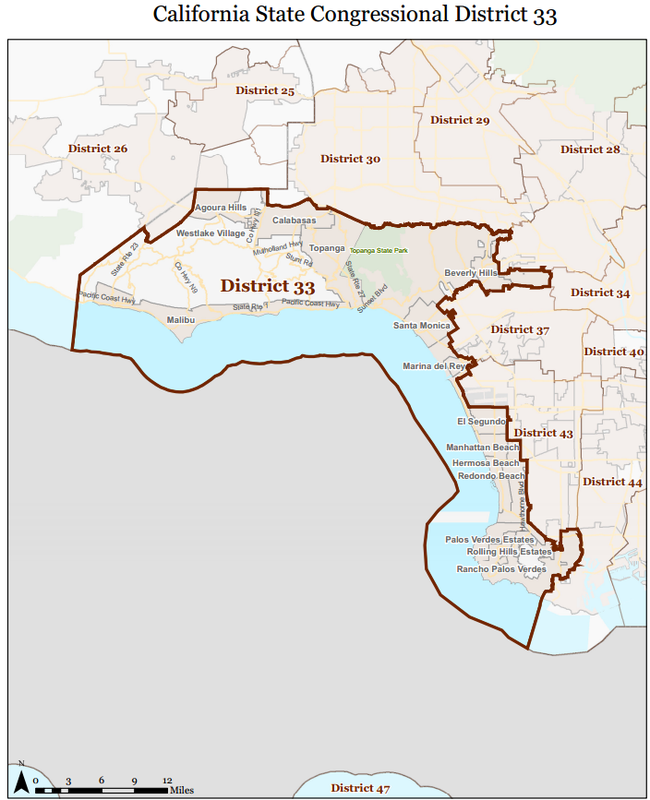 Our 33rd is a mountain/coastal congressional district with distinct communities of interest. It encompasses – the Santa Monica Mountains National Recreation Area – including Topanga and our COG cities of Agoura Hills, Calabasas, Malibu and Westlake Village. It also includes the cities of Beverly Hills, Santa Monica, Marina del Rey, Manhattan Beach and Palos Verdes. 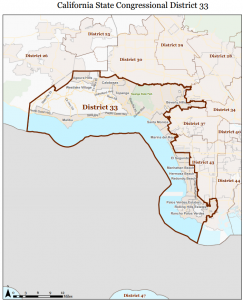 The boundaries of the 33rd were recently re-drawn by the Redistricting Commission – and at one juncture in the process the Commisson had split the Santa Monica Mountains into three different congressional districts. The Federation however lobbied the Commission successfully to return and keep all communities together in a mountain/coastal 33rd District. Our Third District Supervisor Zev Yaroslavsky, State Senator Fran Pavley, and Assemblymember Richard Bloom, all recently announced they will not run for Waxman’s seat.